To lengthen the time period principle members, have to review amendments to the Constitution and By-laws. Whereas, The North Carolina Association of Private Investigators (NCAPI) is a 501-C6 non-profit organization with principal voting members. Whereas, The North Carolina Association of Private Investigators from time to time places amendments to the Constitution and By-laws before the principle membership to be voted on and adopted. Whereas, The Constitution and By-laws of North Carolina Association of Private Investigators requires a 2/3 vote of the principal membership to adopt and make changes. Whereas, the current Constitution and By-laws of North Carolina Association of Private Investigators provides for a 15-day period for the principal membership to review amendments prior to holding a vote. Whereas, 15 days does not allow the principal membership adequate time to review, discuss, and to provide input on amendments to the Constitution and By-laws. Whereas, there is a need to lengthen the time the principal membership has to review, discuss, and to provide input to the Board of Directors on all amendments prior to voting on adopting amendments to the Constitution and By-laws. Now therefore be it resolved to approve, adopt, and authorize the North Carolina Association of Private Investigators Board of Directors change the time period that the principal membership has to review, discuss, and provide input on amendments to the Constitution and By-laws from 15 day period to a period of 30 days before the date of the actual vote. This resolution shall become effective upon being adopted. Now therefore be it resolved to approve, adopt, and authorize the North Carolina Association of Private Investigators Board of Directors to amend the North Carolina Association of Private Investigators Constitution and By-Laws to reflect said changes. To add an additional way of verifying that a member is properly licensed for membership in the association. 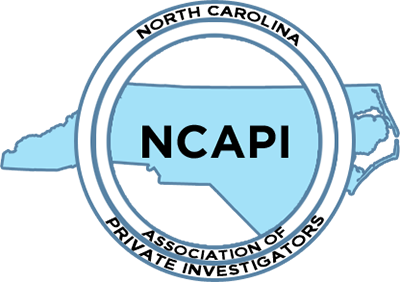 Whereas, The North Carolina Association of Private Investigators (NCAPI) is a 501-C6 non-profit organization with members. Whereas, the current Constitution and By-laws of North Carolina Association of Private Investigators requires a current copy of a member’s private investigator’s or private investigator’s associates license to be submitted with a membership application or renewal to ensure a member is properly licensed. Whereas, the North Carolina Private Protective Services Board maintains a list of all licensees readily available to the public and the Board of Directors. Now therefore be it resolved to approve, adopt, and authorize the North Carolina Association of Private Investigators Board of Directors be approved to use the Private Protective Services Board maintained licensee list as a additional method to verify a principal member’s license status instead of a physical license copy when a principal member applies for membership or renewal in the association. Changes to the Ethics and By-laws Committee. Whereas, the current Constitution and By-laws of The North Carolina Association of Private Investigators calls for an Ethics and By-laws but fails to provide a uniformed set of standards for the committee to operate by. Whereas, the current Constitution and By-laws of The North Carolina Association of Private Investigators also refers to the Ethics and By-laws Committee as the Constitution and By-laws committee in several places. Whereas, any member of North Carolina Association of Private Investigators being investigated by any person or committee representing the North Carolina Association of Private Investigators has the high potential for significant liability to the association and the membership with a clear potential for conflict of interest associated with the practice of conducting investigations and generating documentation subject to the public disclosure laws. Whereas, there is a need to provide uniformed rules for all association standing committees to operate by to reduce liability and maintain uniformity from year to year. Whereas, The Private Protective Services Board (PPSB) retains the sole legal authority to regulate licensed private investigators, conduct investigations, and take any necessary actions affecting the person or agency under investigation, regardless of membership status in the NCAPI. Whereas, the current Constitution and By-laws clearly sets forth standards and reasons for removal of a member in Article VII in the Constitution. 1) Combine the Ethics and By-laws Committee and the Constitution and By-laws Committee and that the committee officially named the Ethics and By-laws Committee in all places within the Constitution and Bylaws. “The Ethics and By-laws Committee shall serve as a review committee in the event of any dispute over membership eligibility; or in the event of an allegation against any member for a violation of the Code of Ethics. Only principal members in the association shall serve upon the Ethics and By-laws Committee. 1) Any complaint between a non-licensed individual against the member. 2) Any complaint between a non-member licensee against a member. 3) Any complaint filed anonymously or where the person filing the complaint wishes to stay anonymous. 4) Any complaint that has been heard before the Private Protective Service Board not resulting in the suspension or revocation of a member’s license. 5) Any complaint involving any civil or criminal court proceeding in which a final judgement has not been formally entered into record. The Ethics and By-laws Committee shall be responsible for a continuing study of the Constitution and By-laws of the association and shall formulate and recommend changes as needed to the board of directors. The committee shall maintain a complete detailed written record of all committee meetings and actions brought before it to be placed with the association’s permanent records. To set the timeframe in which amendments to the Constitution and Bylaws may be presented to the membership for a vote. Whereas, The North Carolina Association of Private Investigators from time to time places amendments to the Constitution and By-laws before the principal membership to be voted on and adopted. Whereas, the current Constitution and By-laws of North Carolina Association of Private Investigators allows for amendments to be voted on any anytime throughout the year. Whereas, there is a need to adopt a timeframe on when amendments to the Constitution and By-laws maybe voted on to ensure maximum participation by the principal voting membership. Whereas, the Annual conference in November is the single largest meeting of the principle membership each year. Whereas, not having a set time frame to bring forth amendments to the Constitution and Bylaws allows for possible abuse by holding votes when the membership is not properly represented by attendance or by scheduling a second vote at a lesser attended meeting after an amendment has failed to obtain the needed 2/3 vote of the principal membership to be adopted. Now therefore be it resolved to approve, adopt, and authorize the North Carolina Association of Private Investigators Board of Directors amend the Constitution and Bylaws to add that all amendments to the Constitution and Bylaws shall only be voted on at the Annual conference in November of each year.